This adapter converts a 9-pin Leslie connector to an 11-pin Leslie connector. This adapter plugs into the 9-pin Leslie connector present on some Hammond Organs. 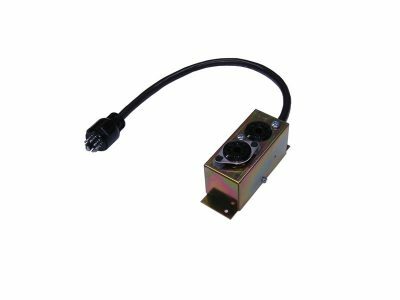 This adapter provides two 11-pin Leslie connectors in which any standard 11-pin Leslie can plug into.